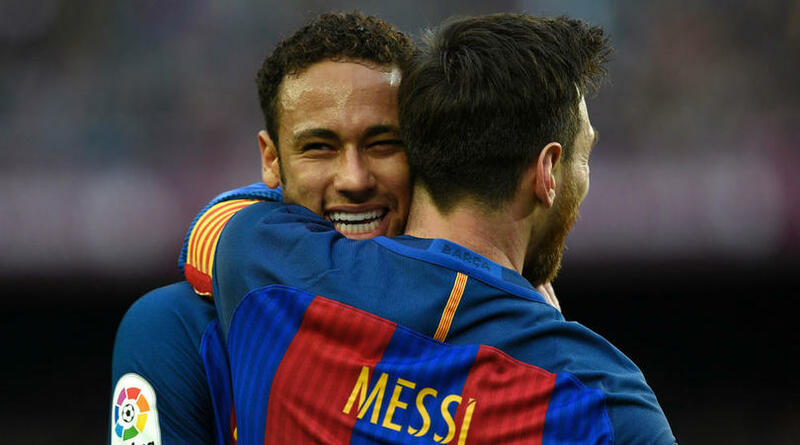 Barcelona forward Neymar has reiterated his happiness at the club, despite reports he has accepted an offer to join Paris Saint Germain. The Brazilian goalscorer has been subject to interest from Manchester United and PSG this summer, despite signing a new Barca contract last season. Having joined Barca in 2013 from Brazilian side Santos, Neymar has become one of football’s most in-form players, producing some sublime performances – which include being the mastermind in Barca’s famous comeback against PSG in the Champions League last season. That performance has seen the Ligue 1 side maintain their interest and attempt a move, however unlikely Barca officials seem to think it may be. Marca amongst others have reported this week – that the club are willing to pay his minimum release clause and offer him a contract. And, despite further claims that the former Santos forward has accepted terms to move to France – he has now told Goal.com that he is happy at in the Catalan capital. “I am happy in Barcelona,” Neymar is quoted as saying. “Last season was my best season at the club – I am very well adapted to the city, to the club, I am happy and that makes my performance better. “It was a season where I felt more comfortable on the pitch, even though we did not get all the titles we wanted. A summer move for the Brazil international does seem unlikely after he has built such a bond with fellow forwards Luis Suarez and Lionel Messi, who has been a mentor for the 25-year-old since he joined the club. Neymar has scored 105 goals in 186 games during his time at the Camp Nou.